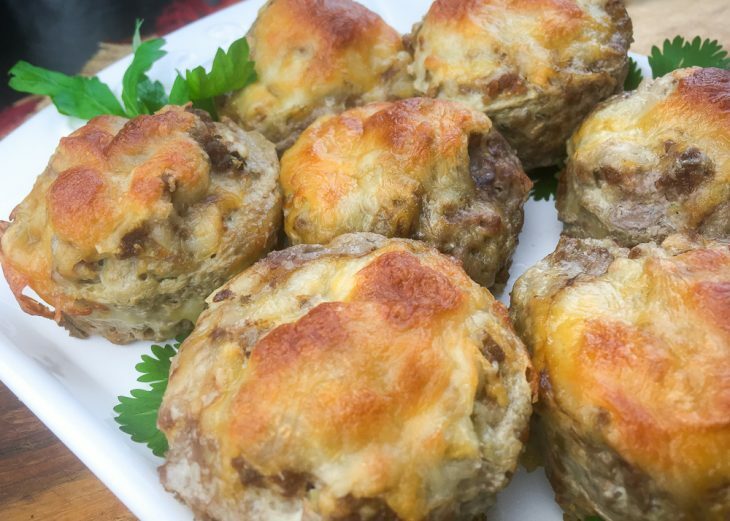 This is a perfect addition for your next tailgate party! Easy to make, low in Weight Watchers Freestyle points, and delicious. 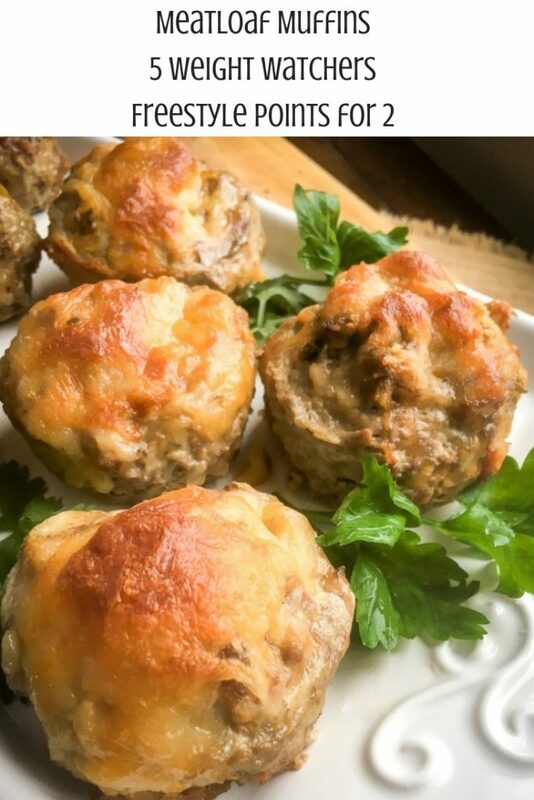 OPTIONAL: ¾ c. Colby Jack cheese, shredded, adds 1 Weight Watchers Freestyle point per meatloaf muffin. Baking Note: Ground beef can be a bit dry and flavorless on its own. For this recipe, a small amount of finely chopped onion is added to remedy this. 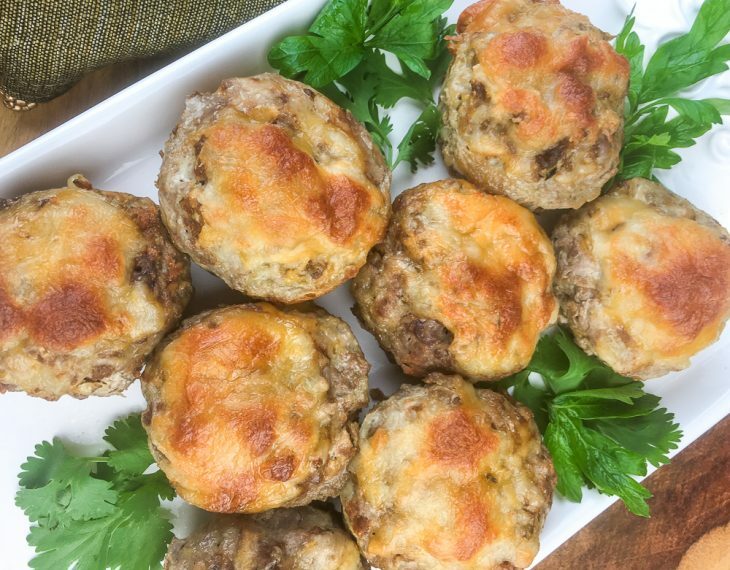 As a result, some excess moisture will rise to the top of these meatloaf muffins as they bake. This is normal and easily remedied by carefully draining off the excess moisture before adding the cheese as described in Step 4 below.